We have decided to sell our awesome girl, Tesy. 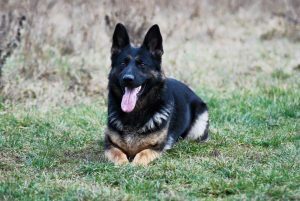 She is an outstanding shepherd from the Czech Republic that has excelled in obedience, protection, and tracking skills. 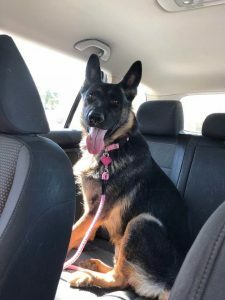 She is a lovely, black and tan female who lives to please. She is super obedient, fast, smart, and wants to work. Tesy holds four working titles including BH, IPO1, ZVV1, and ZVV2, which is the equivalent to the German IPO3. 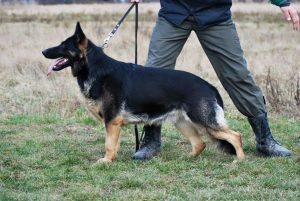 She had impressive scores of 97 in tracking and 95 in protection in her ZVV2, with excellent hip/elbow x-rays and was breed surveyed at KKL. She has an impressive pedigree of champion lineage. She lives to please and loves to work. 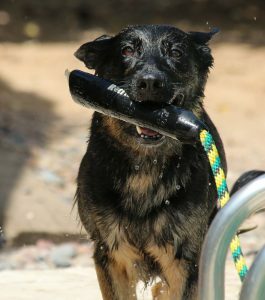 At seven, she acts more like a pup than a full-grown female and will play fetch for hours and loves to swim. For videos and a link to her pedigree, see the Our Dogs page.